iSolar 800 63684550 https://www.kaercher.com/ae/accessory/iSolar-800-63684550.html For water flow rates of 1,100–1,300 l/h: The 800-mm iSolar water-driven brush head with two contra-rotating disc brushes and flexible angle joint ensures that photovoltaic systems are given an even clean. For water flow rates of 1,100–1,300 l/h: The 800-mm iSolar water-driven brush head with two contra-rotating disc brushes and flexible angle joint ensures that photovoltaic systems are given an even clean. Designed for high-pressure cleaners with a water flow rate of 1,100 to 1,300 l/h. The iSolar 800 has a large working width of 800 mm. 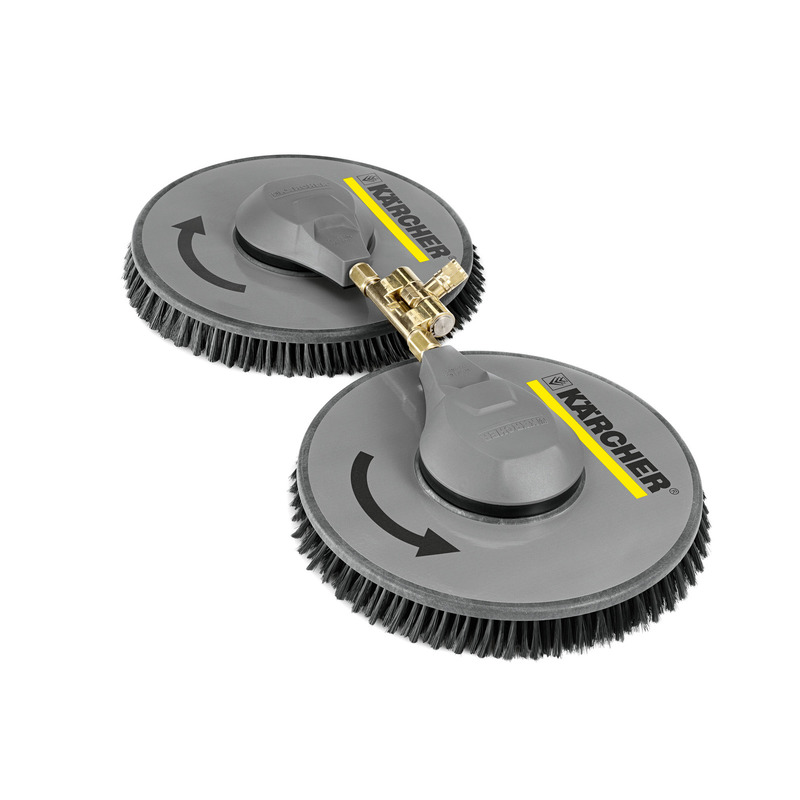 The water-driven brush head is fitted with two contra-rotating disc brushes. These balance out transverse forces and make cleaning easier. The flexible angle joint on the brush head's connection also makes cleaning easier and ensures that the bristles always have full surface contact. This means that photovoltaic systems can be cleaned to perfection with consistently even results. Even very large systems like those often found on barn roofs can be cleaned in no time thanks to the high area performance.